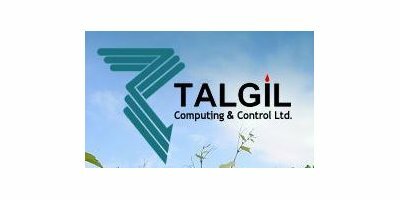 TALGIL Computing & Control LTD was established at 1987. Our areas of activity are development, production, marketing and service of professional irrigation control systems for open-field, greenhouses, and landscape applications. We combine the most advanced technologies in electronics, computer science, communications, and irrigation techniques with deep familiarity of the market needs and the user`s preferences, resulting in most attractive products well accepted worldwide. Over 20 years of activity in producing, marketing and servicing professional computerized irrigation control equipment have madeTALGIL COMPUTING & CONTROL LTD a well recognized and appreciated manufacturer of control systems. The company offers a wide range of state of the art irrigation controllers for open field, greenhouse and landscape applications, and a wide range of automatic filters backflush controllers of various sizes and features. The company enjoys a well earned reputation for offering an extensive and constantly expanding range of high quality, reliable products, supplied with lifetime warranty, supported by highly efficient and professional technical service team. TALGIL is situated in the Haifa bay at the northern part of Israel. The company employs about 30 employees, most of them engineers and programmers, specialized in computers and electronics. It is a well-trained team of specialists keen and devoted to their jobs. The atmosphere in the company is very much family like. The management of TALGIL understands very well that with the type of products produced by the company and the market we are operating in, the key for success lies in having the systems up and running 24 hours per day 365 days per year with no excuses. This understanding is interpreted into highly reliable products and always-available technical support. After so many years in irrigation control, TALGIL expertised in giving the best solutions to the special needs of this market which is characterized by harsh environment, extreme temperatures, lack of energy, need of long distance communication with wires and without. To answer these demands, special equipment had to be developed, which took years of investment and experience accumulation. To create highly reliable top quality products. To supply constantly available professional technical support. To constantly expand our products lines. To be attentive to the market needs. To give top priority to the friendliness of our products. Starting with small-scale stand alone controllers with just a few outputs for single irrigation heads and up to networks of expandable units with large number of outputs controlling multiple irrigation lines and with remote PC communication ability. AC models with memory backup, DC models with very low power consumption, all of them excel in flexibility and user friendliness.